With multiple fluorescent reporters of different colours, the team around Jamie Hackett – group leader at EMBL Rome – were able to track the development of pluripotent stem cells into germ cells. Germ cells are a critical cell-type since they develop into sperm or eggs, which establish each new generation. However, it is not fully understood which genes are important for germ cells to be made. 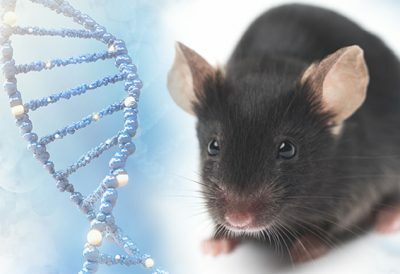 The scientists used a modified CRISPR-technique – CRISPR screening – to delete in turn each of the 21,000 genes in the mouse genome and study the effect of their absence on germ cell development. They identified 23 genes that are likely important for germ cells to develop, greatly extending the number of previously known genes. The study also used advanced stem cell techniques. Early germ cells exist only in small numbers in embryos, making their analysis challenging. Moreover, mapping the whole genome’s role required millions of samples. The scientists therefore scaled up the number of germ cells by using embryonic stem cells and turning them into early germ cells in a dish. In combination with CRISPR screening, this technique could prove useful for future studies to understand which genes are important for other cell types such as neurons or blood cells. This work was a collaboration involving scientists from EMBL and the University of Cambridge.